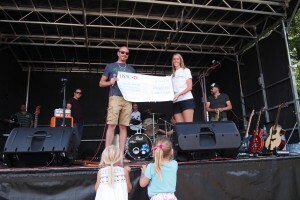 We would like to say a huge thank you to Codestone for its support in raising a fantastic £4600 with their very own music festival, Codefest. “Giving something back to the community in which we’ve built our success is important to us at Codestone. It’s difficult for us to think of a better way than helping, in our own small way, the amazing work done by the staff of Julia’s House.” Jeremy Bucknell, CEO, Codestone. We are delighted that Codestone have raised over £10,500 for Julia’s House over 3 years of supporting through Codefest and other fundraising activities. We are overwhelmed with the commitment and passion the team at Codestone have shown. 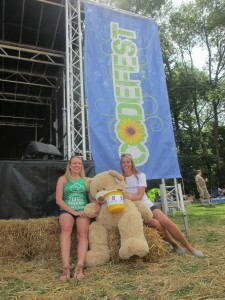 Our corporate fundraiser, Caroline Attreed was made very welcome at the Codefest event. Codefest is a fabulous event for all the Codestone staff, their own family and friends. There is such a fun atmosphere it was amazing.